Asian traders in Hong Kong are taking advantage of enhanced trading opportunities for transactions in financial markets instruments. The After-Hours Trading (AHT) concept saw a sharp rise in activity over the last week as traders take heed of additional trading opportunities when traditional markets are closed. The county’s main trading venue, the Hong Kong Exchange (HKEx), saw a new record in the amount of volume transacted during the 5pm-11pm window. The move signifies the advantage of round-the-clock accessibility for users. One of Asia’s leading trading exchanges, HKEx, reported that it saw a new record in the amount of transactions executed during its After-Hours Trading session. The venue reported that on Friday, November 21, 26.17% of orders were traded during the six hour evening trading session. The figures were considerably higher than those reported on the November 20, where 9.5% of trades contributed to the amount of trading volume. Hong Kong has been strengthening its position as an overseas trading hub for Chinese yuan trading; the new AHT will enable HKEx to cater for international interest in RMB products in the future. 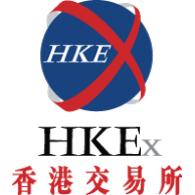 HKEx offers access to stock index and equities during the AHT. The venue reported that the bulk of trading volumes took place in the Equity Index Futures contract with 45,637 transactions executed. Last Friday’s figures increased the weekly average to 11% from 7.20% reported a week earlier. The new trading session continues to gain traders’ interest as users look to trade during liquid hours. The Hong Kong AHT session sits in line with the European trading session, with a seven to eight hour time difference, thus enabling users to trade during liquid trading periods. AHT has supported an uptake in trading activity at the Shanghai Futures Exchange which saw volumes double after the exchange extended its trading times.